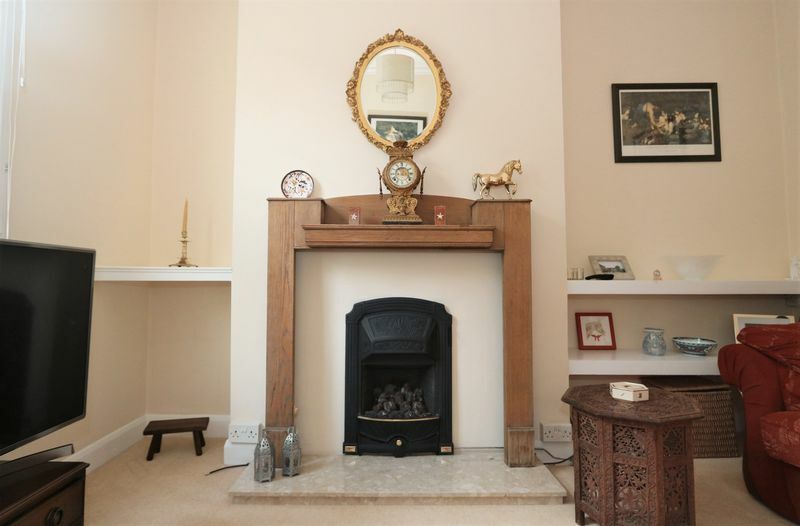 A well presented three bedroom semi-detached home close to the centre of Bath. Could make an ideal investment opportunity as a potential four bedroom HMO property. 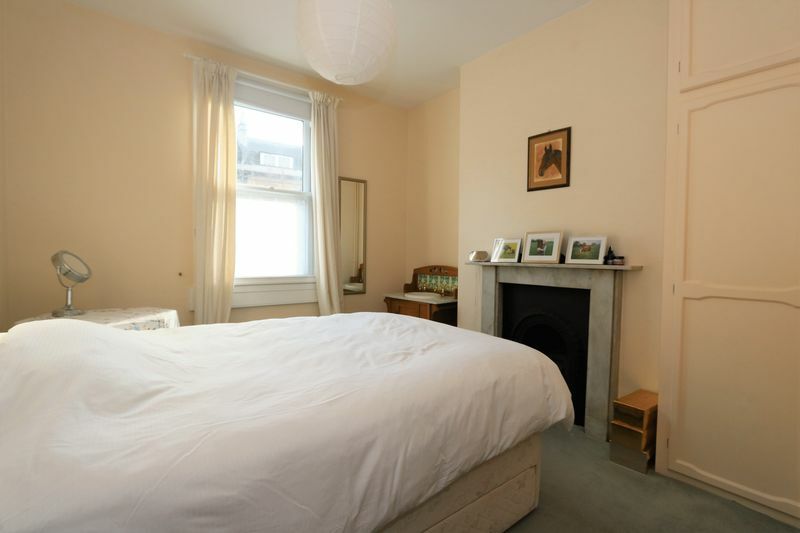 Close to an abundance of local amenities and within walking distance to the city. 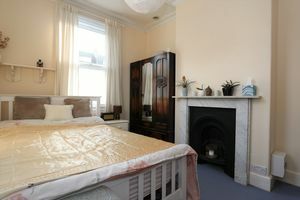 Upper East Hayes Cottage is believed to have been built in the late 1800's and is situated in a very convenient location for the city centre. You enter through the front door into the hallway which gives access to the sitting room, dining room, kitchen, stairs to the first floor and door to the cellar. 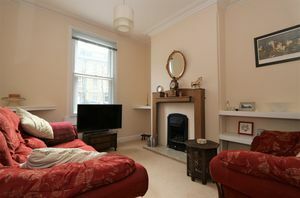 The sitting room is a comfortable room with feature gas fireplace and window to the front aspect. 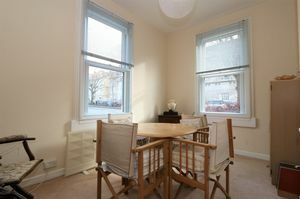 The dining room is a light room with dual aspect windows and this room could be utilised as the fourth bedroom in a potential HMO. 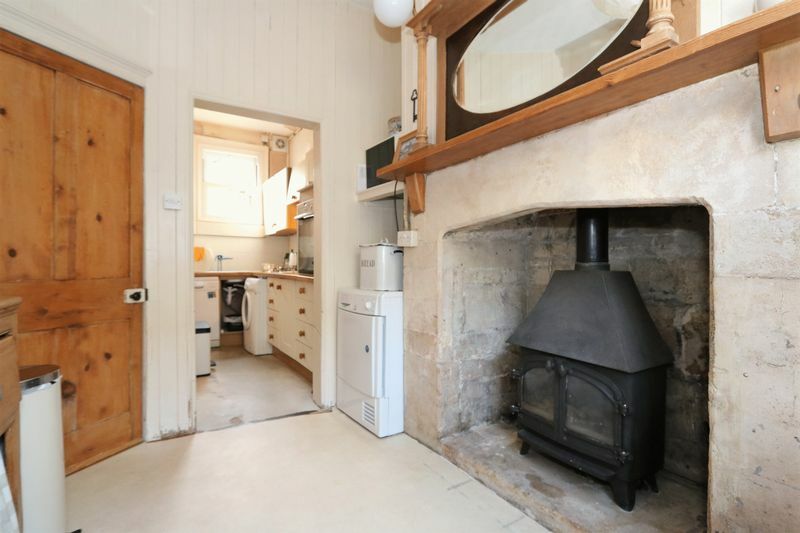 The kitchen diner retains a lovely large Bath stone fireplace with a gas coal effect burner. The dining area is large enough for a 6-seat dining table and leads to the kitchen with modern wall and floor units with integrated oven and plumbing for washing machine. 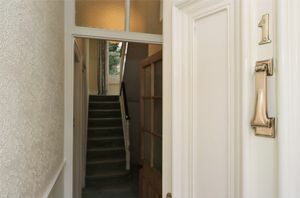 The hallway provides access to a useful cellar via a door next to the stairs. Stone steps lead down into an area under the house which is about 4 feet high and makes for a useful storage space. 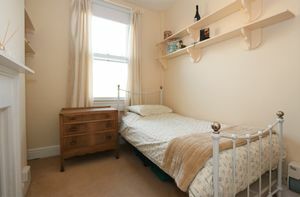 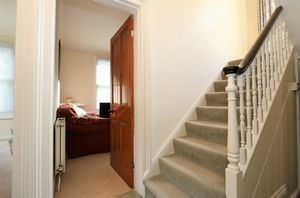 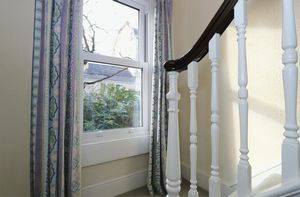 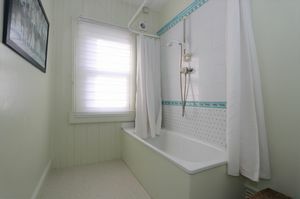 Stairs lead to the first floor where you find two double bedrooms, a good size single bedroom, bathroom and separate WC. 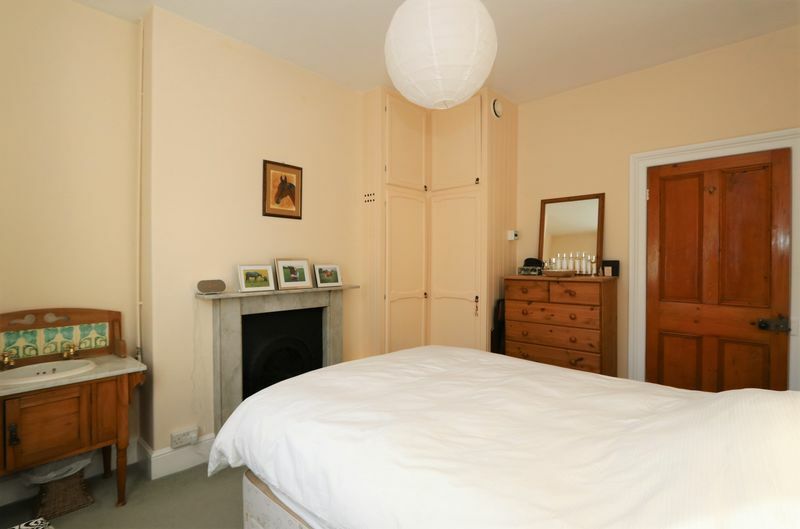 This property is located in the Walcot area of Bath on the corner of London Road and Upper East Hayes and is conveniently placed within one mile level walk of Bath city centre. 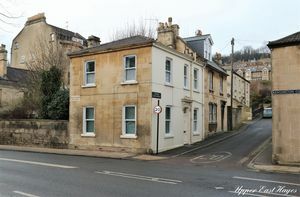 There are an abundance of local amenities nearby in Larkhall Village and on the London Road which include a Morrisons supermarket, delicatessen, coffee shop, doctors and dental practice, pharmacy, veterinary clinic, King William gastro pub and post office along with a number of independent shops and petrol station. 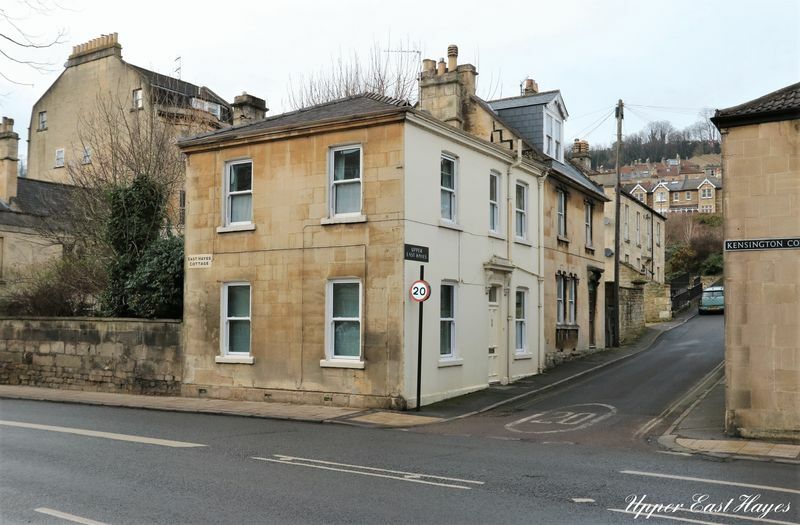 There are also some excellent state and independent schools within easy reach which include St Saviours and St Marks Schools in Larkhall, St Stephens Primary School, Kingswood and The Royal High Schools in Lansdown and King Edwards Schools on North Road. 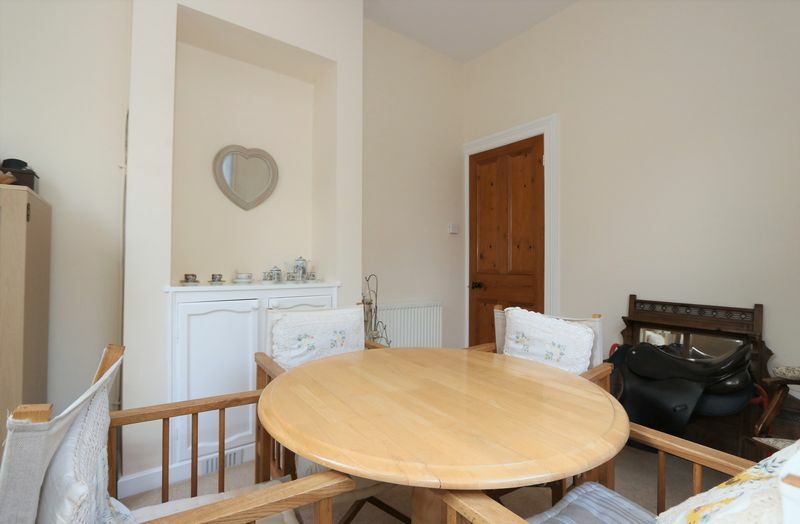 Great transport links with the junction 18 of the M4 motorway approximately 8 miles to the north, Bristol Airport is 18 miles to the west and Bath Spa Train Station 1.2 mile away. 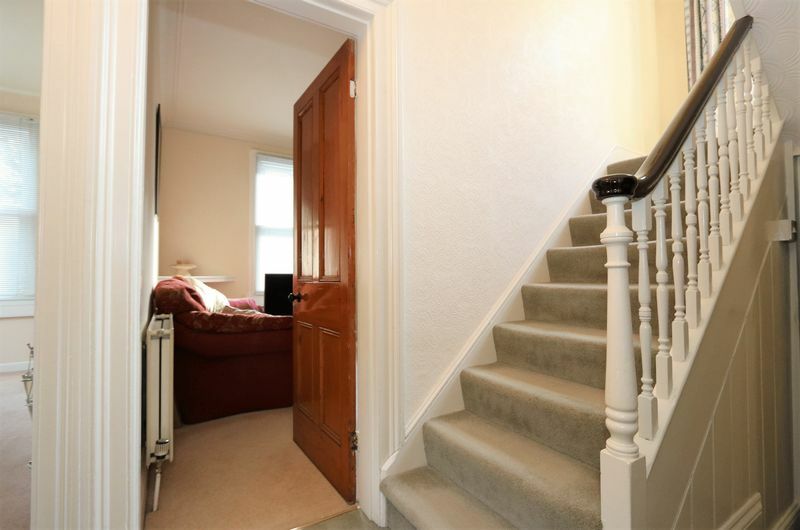 Fitted with coir mat, Yale lock, dado rail, meters, solid wooden front door. With doors opening into a kitchen/diner, dining room, sitting room, and access to under stairs storage with further access to a cellar. 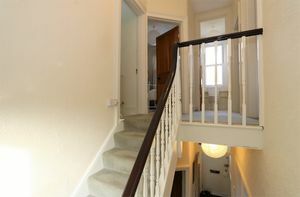 Stairs to the first floor accommodation. 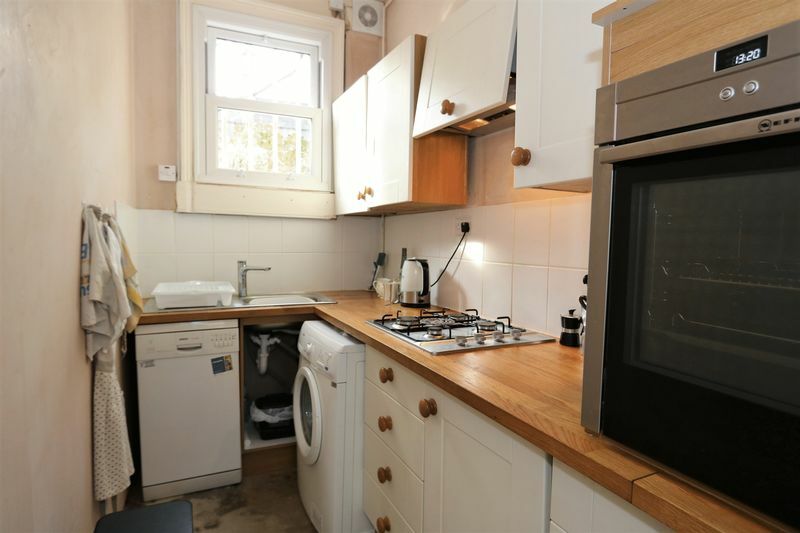 With a range of wall and base kitchen units, upright fridge freezer, space for a tumble dryer, integrated Neff oven, four ring gas hob with extractor hood over, Zanussi washing machine, slimline Bosch dishwasher, extractor fan, double glazed sash window to the rear aspect. 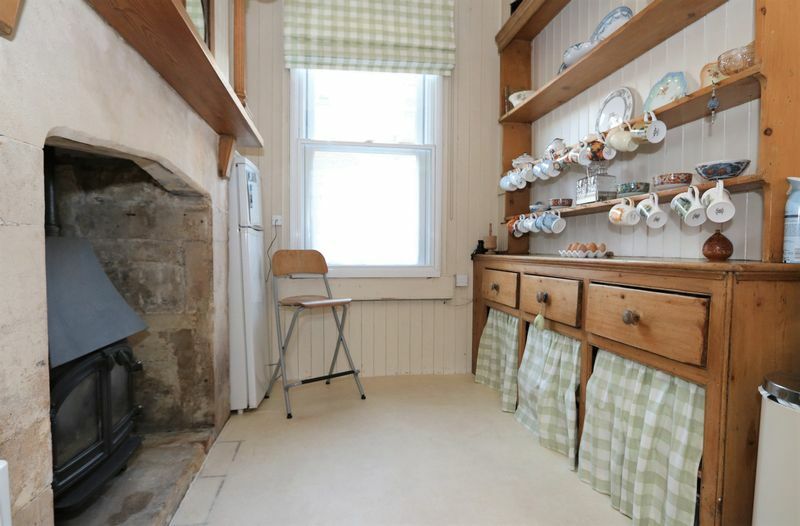 Original wooden welsh dresser, Bath stone fire place with large coal effect gas burner, double glazed window to the front aspect with secondary glazing. 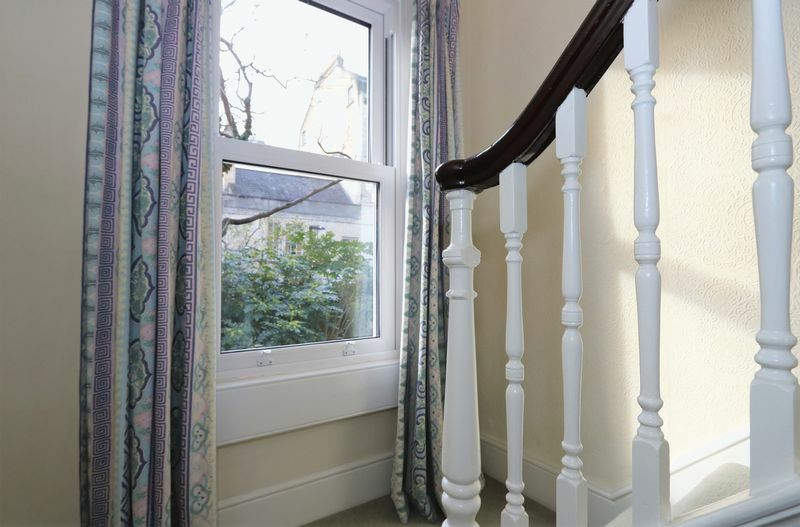 Neutral carpet, dual aspect double glazed sash windows with secondary glazing, radiator, storage cupboard. Fitted with a neutral carpet, double glazed sash window to the front aspect with secondary glazing, radiator, built in wooden shelves, gas coal effect fire inset marble heath, television point, coving. 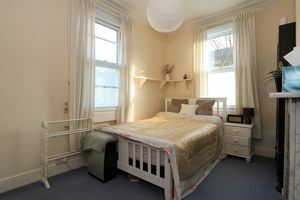 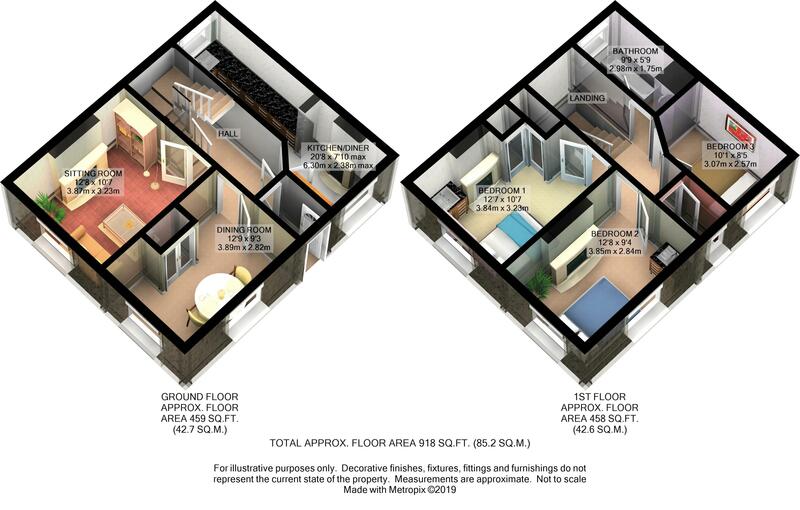 With doors leading to two double bedrooms and a large single bedroom, family bathroom and loft access. 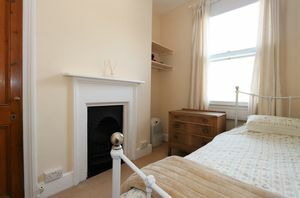 Carpet throughout, feature fireplace, double glazed sash window with secondary glazing, built in wardrobes, ceiling rose. Fitted with double glazed dual aspect windows with secondary glazing, feature fireplace with marble surround, carpet, coving, wash hand basin, radiator. Book shelf. Large single bedroom fitted with carpet throughout, feature fireplace, double glazed sash window with secondary glazing, built-in single wardrobe and shelving to alcoves. 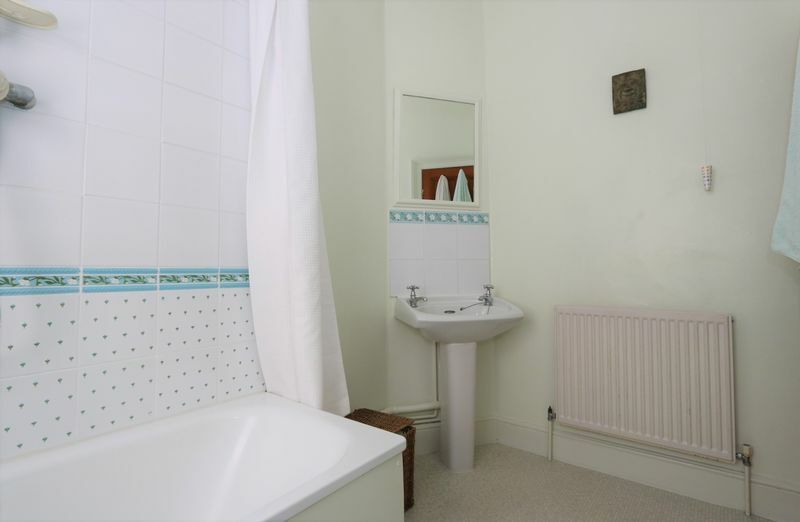 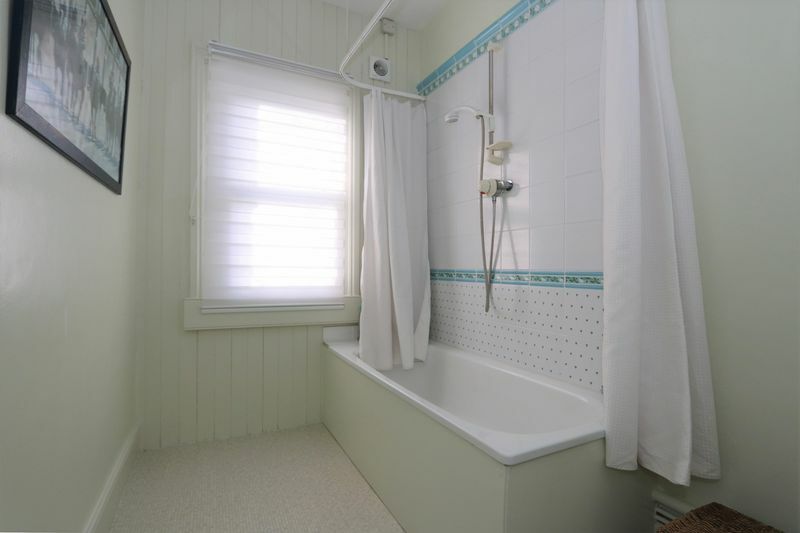 Fitted with a white suite which includes a bath with overhead shower, wash hand basin, radiator, lino flooring, double glazed sash window, extractor fan. 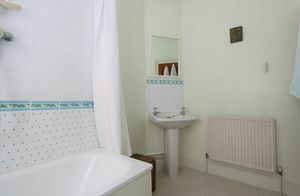 Separate low level w.c, lino flooring, double glazed sash window. 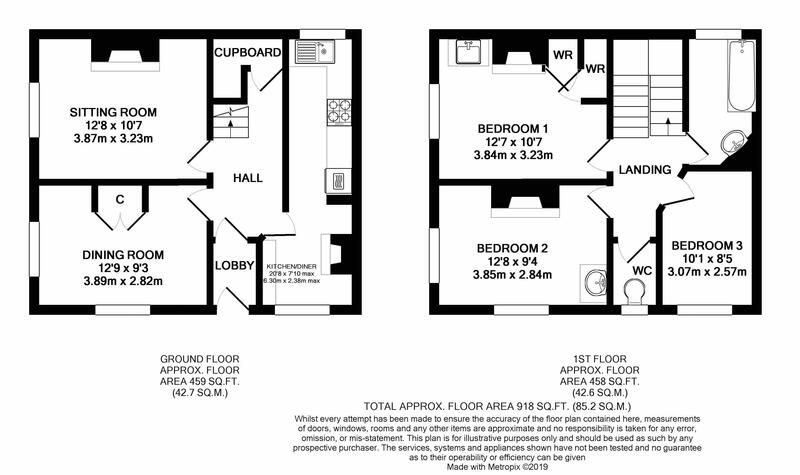 You will have to pay £10,000.00 in Stamp Duty. Your effective stamp duty rate is 2.50%.